Choroidal neovascularization (CNV)is the growth of abnormal blood vessels in the choroid layer of the eye. 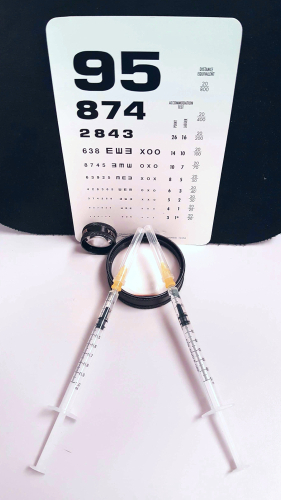 CNV is just another name for wet age related macular degeneration. 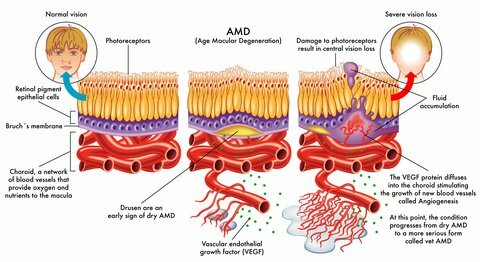 There are two types of age related macular degeneration - wet and dry. Wet macular degeneration gets its name from leaking blood vessels in the retina. vascularization means blood vessels = new blood vessels growing from the choroid layer. Choroidal neovascularization is a fancy word that simply means there is new blood vessels (neovascularization) growing from the choroid layer of the retina underneath the fovea. These abnormal blood vessels grow through the Bruch's membrane and into the subretinal space. 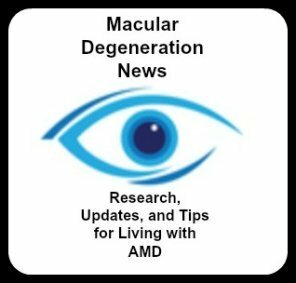 Wet age related macular degeneration gets its name because fragile, leaky blood vessels grow from this vascular layer and leak into spaces above and below the rods and cones. When the rods and cones are flooded with this blood and fluid, they are damaged and destroyed. The result of these photoreceptor cells dying is loss of vision. 2) The choroid layer is made of small blood vessels that are responsible for carrying the nutrients to the back of the eye. It is in the middle layer. 3) Bruch's Membrane is between the choroid and the Retinal Pigment Epitheliam (RPE), and acts as a filter between the RPE and choriocapillaries, keeping them separated. 4) Retinal Pigment Epithelium (RPE) transports metabolic waste from the photoreceptors across Bruch's membrane to the choroid. The choroid layer contains most of the eye's blood vessels. These new, fragile and abnormal blood vessels grow up through the retinal layers. 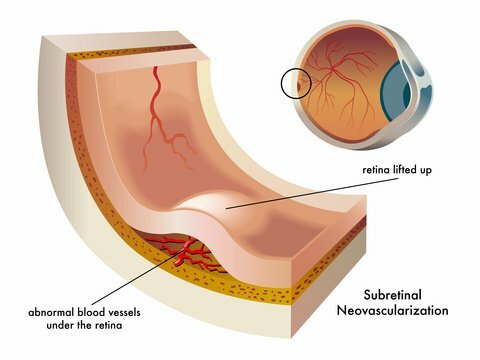 The vessels are very fragile and break easily, causing blood and fluid to pool within the layers of the retina. 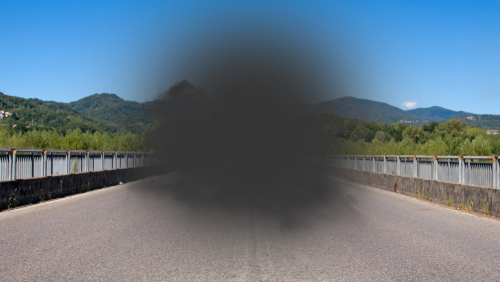 Here is a picture of wet macular degeneration from the National Eye Institute. 2) its proximity to the macula. 1) Classic Choroidal Neovascularization In classic CNV there is a very rapid leakage of blood and fluid under the retina, causing the surface of the retina to become elevated and uneven. The leakage may even break through some of the layers of the retinal tissue, damaging the retina and leaving blind spots in vision. The blood vessels with this type are "hidden" beneath the fovea and are not readily defined. This type involves a slower blood leak under the retina. 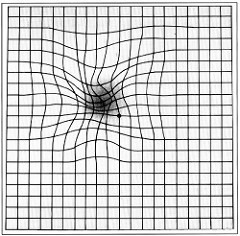 Because it is more gradual and there is less fluid, the retina does not become as elevated and uneven as it does with classic CNV. The vision loss with this type is slower. The vast majority of wet cases are mainly occult or a mix of occult and classic. The treatment for choroidal neovascularization (CNV) is dependent on where the leaky blood vessels are in relation to the fovea. 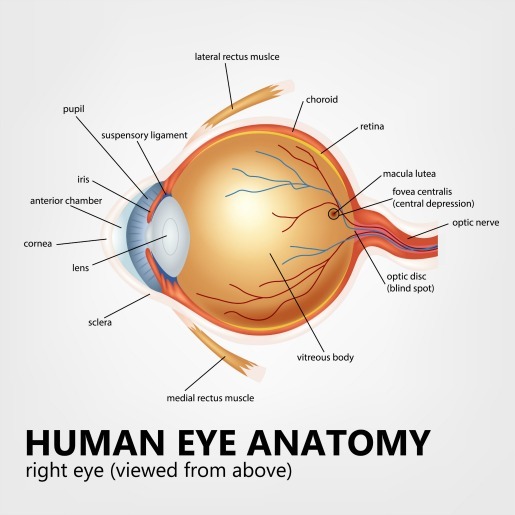 Bleeding that occurs right under it usually results in worse outcomes...that is because this specific area is made up of cone cells only which are photoreceptor cells that are responsible for sharp, detailed vision. When these cone cells are damaged by blood and fluid, our sharp and detailed vision is also destroyed. As a result vision is a bit blurred or fuzzy rather than distinct and sharp. CNV lesions are also classified by where they are located relative to the fovea (the center of the macula). Subfoveal CNV is a fancy word that simply means there are new blood vessels (neovascularization) growing from the choroid layer (choroidal) of the retina underneath the fovea (subfoveal). This is the most common type of CNV. In fact, almost 90% are the subfoveal type. Subfoveal simply means that the bleeding develops below the fovea. In this type of wet macular degeneration, CNV develops outside the foveal area.